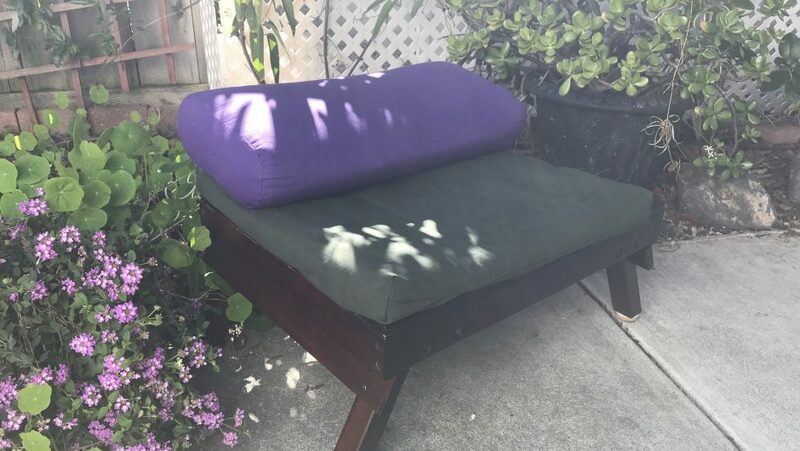 Health / Yoga Meditation Bench / #YogaBench: Production Imminent, Investment Possible! The TreeLight Yoga/Meditation Bench is on the move! Production of initial units is imminent. A huge investment opportunity awaits. A little less that 10% of the population practices Yoga. But more than 40% would like to! And about 5% practice meditation—but everyone wants the benefits of inner calm and joy that meditation can bring. of Yoga that is easy enough for anyone to do—one that leads directly to meditation, and one that accelerates progress even for advanced practitioners! As the popularity of that program grows, I see Yoga studios bulging with students they have never seen before. Because now, no one needs to be held back by age, injury, or weight! This is a Yoga you can do! Beyond that, imagine what our country becomes when half the population is engaged in a form of meditation that connects them to the energy of the universe (God), and their inner source of insight and inspiration. It becomes pretty great! That’s what. I have found a design-and-manufacturing outfit that is poised to become my product development and production wing. They are ready to be begin work on the stackable plastic design. By an even greater miracle, they have found a builder who can build 10 or 20 “furniture version” units at a time. I’m waiting for final pricing on those units, but once I have them in hand (and can get more!) I can begin giving workshops and attending street fairs and such, where I can sell my book(s) and a bench or two. With the help of a friend, I now have an early-investment strategy that makes as much sense for my friends and investors as it does for me. The good news is that if Oprah decides she likes what we’re offering, then we all retire to Hawaii. But the more likely path is slow growth, for the first few years at least. The plan in that case is for early investors is to get their money back with a little interest, and keep the equity (1% for $1,000) for the big day that Oprah gives us the nod. The money will be used to build the initial units, get the stackable plastic version designed, and finance the crowdfunding operation. Let me know if you would like more details on this ground-breaking, ground-floor investment opportunity!